Jaime Lopez is serious about his OCR training; he reads what he can to keep up with the trends in training. He monitors his work via his heart monitor, he abides to specific training protocols and logs all of the metrics afforded him though his devices. Yet still, it all seems confusing at times. 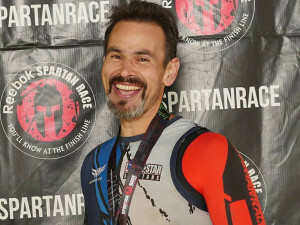 Jaime is also a devoted fan of our podcast, he has reached out to Richard Diaz (the show’s host) to ask for some advice on how best to interpret the information he collects and in so doing we invited him on this episode to review his training data and discuss what we’ve learned and to make recommendations. If you, like Jaime, enjoy Spartan Racing, are training for a marathon or are new to running, this is a show you don’t want to miss!